Put your pride on display. 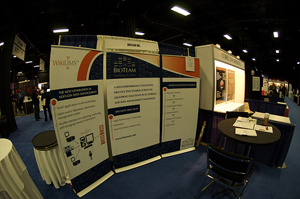 Trade show displays often serve as the face of your business. Let us help design and produce your trade show graphics and signs, to put a fresh face on your next event. With Think Sign Solutions, your trade show display options are endless. Instead of template solutions, we can help you concept and design a truly unique arrangement of signs, graphics and displays to create an unrivaled trade show presence. Do you have an event in Minneapolis or the Twin Cities metro? We’ll even help with the installation and setup to make sure your best impression is always on display.